A new pop-up shop raising money for young people affected by cancer opens just off Carnaby Street today. The shop is part of charity Trekstock's 10,000 Hearts T-shirt campaign and will also host DJ sets and serve as a gallery for specially commissioned art work by some of the UK's leading street artists (Eine, Blam, Eelus, Motorboy, Ronzo and others). The limited edition T-shirts come with exclusive designs (see pics) by the likes of Bloc Party, Ellie Goulding, The Maccabees, The Horrors, Devandra Banhardt, Little Boots and many more. 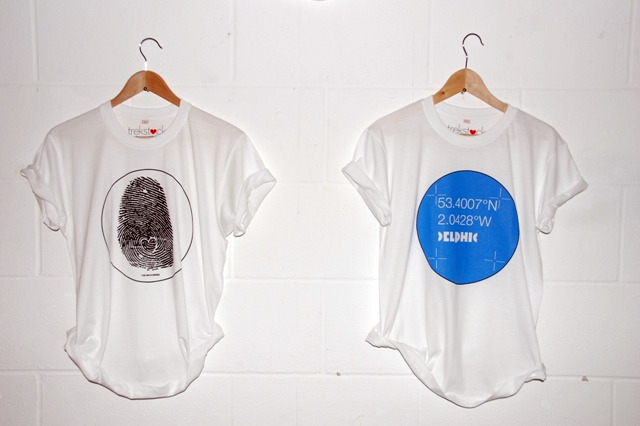 Each shirt is £10, with all proceedings going into research on cancers affecting the young. 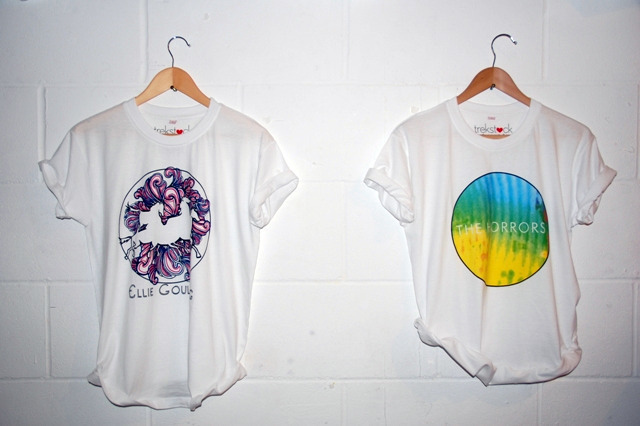 There will also be the chance to get T-shirts signed by their designers, who will be popping by. 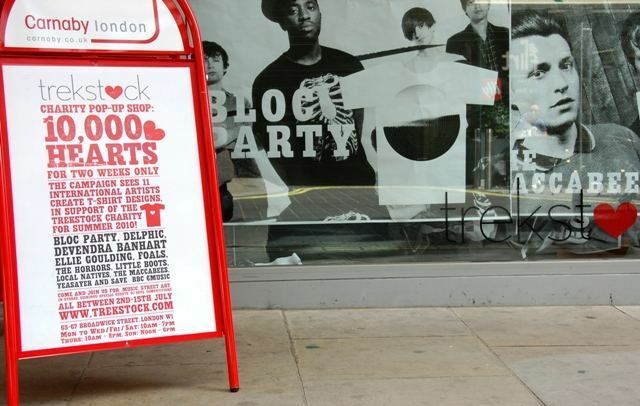 Trekstock’s pop-up store is at 65-67 Broadwick Street until 15 July. For more information on Trekstock please contact Sophie Epstone at sophie@trekstock.com, or follow on Twitter.